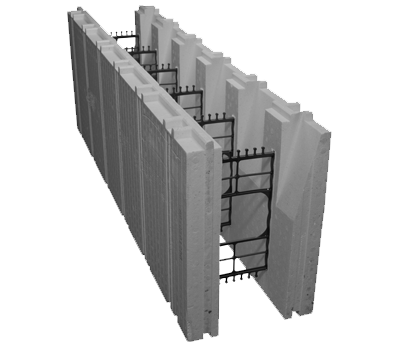 The taper top block is shaped to provide a wider concrete surface at the top of the block. This allows for a wider load bearing surface at the top of the ICF wall. •	Measure approximately ½ an inch in from the top outside edge of the EPS panel on each side of the alignment tabs where the webs are located. They run adjacent to the tongue that runs the horizontal length of the ICF Block. Shipping: Cubed in packages of 12.